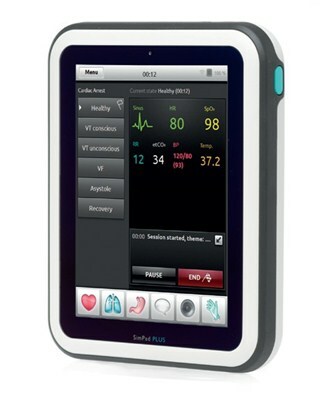 A SimPad PLUS System is required for operation of the SimPad Arrhythmia Trainer. The SimPad PLUS System is sold separately. Learn more about SimPad PLUS. Arrythmia Trainers with a putty colored connection cable can be used with a VitalSim Control Box directly. In order to use this trainer with a SimPad System, an adapter cable will be needed - item: 200-30450. Arrhythmia Trainers with a black connection cable can be used with a SimPad PLUS System directly (no adapter cable required).